Sir Elton John is returning to the Yarra Valley for one of his final ever shows in Australia. He’ll play A Day on the Green at Rochford on Friday 21 January next year as part of the 15-date Australian leg of his global Farewell Yellow Brick Road tour. “Elton’s continuing love affair with Australia knows no bounds, proven by this farewell tour, and the breadth and depth of the itinerary, showing his commitment to his many Australian fans,” promoter Michael Chugg said. Audiences will experience a rare glimpse into Elton’s life and the deeply personal meaning behind some of his greatest hits through images and videos from his 50-year career displayed throughout the show. Longstanding band members will join him. Drummer Nigel Olsson was part of Elton’s original three-piece band in 1970, and musical director and guitarist Davey Johnstone first recorded with Elton in 1971 and joined the band a year later. Ray Cooper and John Mahon will be on percussion, Matt Bissonette will play bass, and Kim Bullard will be on keyboards. 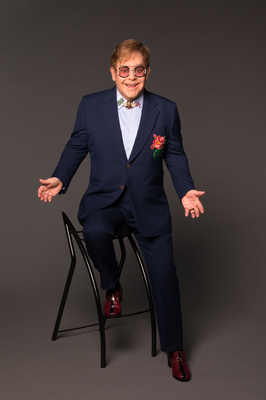 Elton has played 4000-plus shows in more than 80 countries since his career started in 1969, including 196 shows to more than 1.5 million people in Australia. “I’m ecstatic and humbled to continue to play for audiences across the globe,” he said. “I plan to bring to my final tour the passion and creativity that has entertained my fans for decades. Presale tickets go on sale at 9am on Wednesday 13 February.